Medium Belle retails at 1800 yen ; large Beast at 3500 yen (plus tax). As with Disney movie releases in the past, tsums will closely follow the theatre release date. 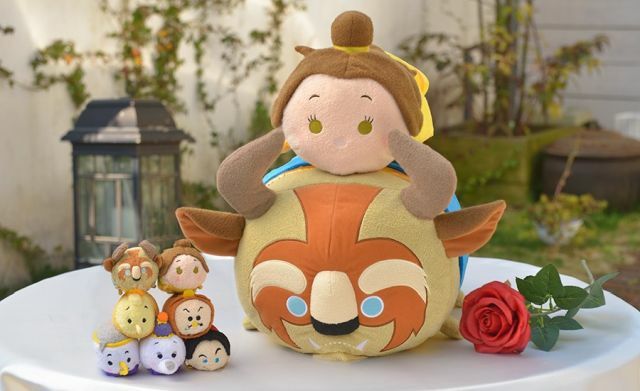 Belle and Beast have previously been released as part of the 3rd anniversary set, but now they will be sold individually along with five other tsums. A closer look shows that all the Japan tsums will be different from the US and UK versions, in particular Chip, Mrs. Potts, and Gaston. The real treat is the rare medium and large tsums as Belle and Beast respectively. Tsums are expected to be in stores from April 26th, one week after the movie release. Belle’s Unibear retails for 3200 yen ; Beast’s Unibear for 3500 yen. The more exciting news is the release of the second Princess Bear of the Unibearsity line. Two brand new Unibears are coming in the form of Belle and the Beast. Beast’s Unibear is named Fauve whose literal meaning in French is “beast”. Belle’s name follows the trend of Aurora’s Rose Rose and Cinderella’s Blue Rose with Rouge Rose, meaning “red rose” in French. The Unibears will not be complete without their costumes. Accompanying the bears will also bring Belle’s ballroom gown and the Beast’s prince outfit. 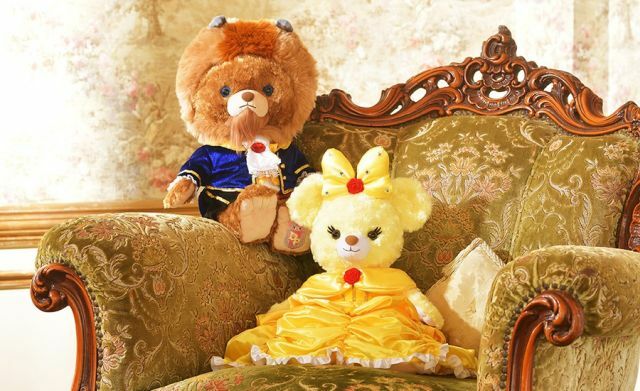 Belle’s costume retails for 5000 yen and Beast’s costume for 3800 yen (plus tax). The Unibears are seeing an earlier release than the tsums at April 21st, the same day the movie comes out in Japan.